The New Orleans Saints had a blank gold banner hanging in their indoor practice facility this week. “You can kind of look at it and fill in the blanks yourself,” coach Sean Payton said Friday. “It’s unfinished, and we’ve talked all week about finishing the right way,” Payton said. Check out what is new at Port Orleans Brewery ! Check out their Facebook for information on the event which is December 30th! Posted in Who Dat's | Comments Off on Check out what is new at Port Orleans Brewery ! Who Dat Nation ! We have heard you and we are working on what you want. Yes, being a member of the Who Dat Nation is not just for 6 months of the year! It’s 365 days a year, 24 hours a day, 7 days a week. We have been getting a lot of emails from people wanting to show they are part of the Who Dat Nation, and wanted an email address to show that! So.. coming soon to the members of the Who Dat Nation we will have vanity email address for you. So soon you can have yourname@whodatnation.com to show your support all year long! Son of a Saint – Raffle Ticket to the Dominican Republic! Purchase as many tickets as you like! The drawing will be held live January 9, 2018 on our Son of a Saint Facebook Page. You do not need to be present to win but please make sure to add your email at checkout. Good luck! 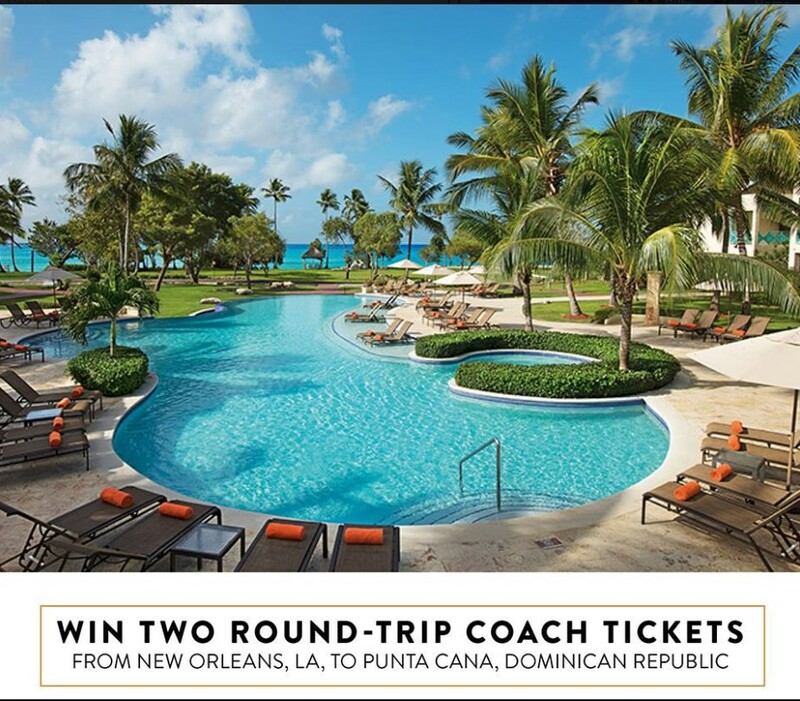 Win two round-trip coach tickets from New Orleans, LA, to Punta Cana, Dominican Republic via Copa Airlines, including three nights’ accommodations at the Dreams La Romana Resort & Spa in the Dominican Republic, an all-inclusive resort, courtesy of AM Resorts. Click here now to get your tickets ! 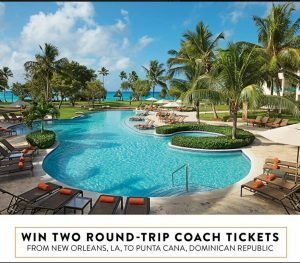 Posted in Who Dat's | Comments Off on Son of a Saint – Raffle Ticket to the Dominican Republic! of the woodwork comes Sal Monistere, who now wants to own the Who Dat Nation. losing I guess he just goes back to Texas and waits for things to change. but could not reach an agreement. Posted in Who Dat's | Comments Off on 610 Stompers ! Saints’ season finale against Buccaneers flexed to 3:25 p.m. The NFC South champion won’t be crowned until next Sunday evening. The NFL announced Sunday night that it will flex the New Orleans Saints’ game at the Tampa Bay Buccaneers to 3:25 p.m. The matchup between the Carolina Panthers and Atlanta Falcons will be at the same time. Both games were originally scheduled for noon kickoffs, but the league decided to move both to the later time. Per the announcement, keeping the games at the same time was important from a competition standpoint. Both games will air on FOX. If the Saints (11-4) win Sunday, they’ll claim the NFC South championship, but they can still win the division if they lose and the Falcons (9-6) beat the Panthers (11-4). The Saints can win their first division crown since 2011 next Sunday. Posted in Saints News | Comments Off on Saints’ season finale against Buccaneers flexed to 3:25 p.m.
Posted in Who Dat's | Comments Off on Who Dat Nation !